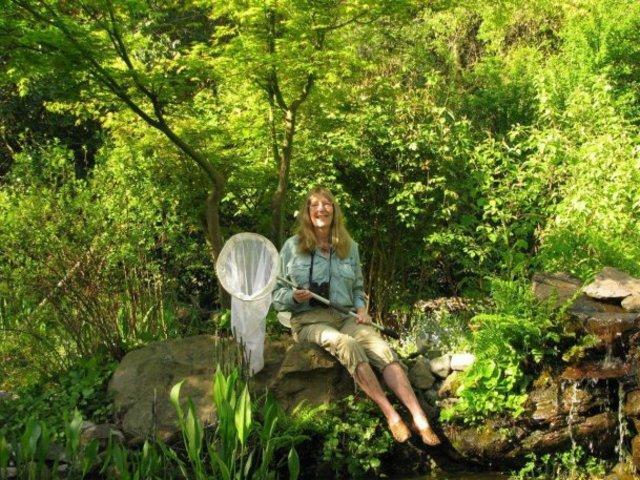 Sonoma County's dragonfly expert, Kathy Biggs, in her natural habitat. 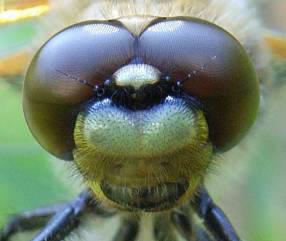 Enormous eyes are just one of the unusual things that characterize the many species of dragonflies. Dragonflies aren’t just old—they date back to the age of the dinosaurs—they’re strange. Also colorful, pest-eating, non-threatening to humans, and still surprisingly unstudied. Among all the strange and unusual things that have been learned about Dragonflies, there is one that stands out above everything else, says Kathy Biggs: their mating practices. 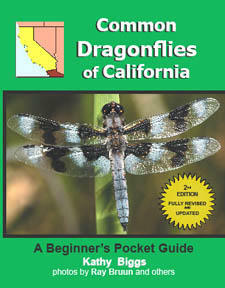 Kathy Biggs is a local birder and nationally prominent expert on dragonflies and the author of Common Dragonflies of California: A Beginner's Pocket Guide, as well as other field guides and a dragonfly coloring book for children. See her checklist of the 58 species known to visit Sonoma County here.